Last week, the specialized media and several technological blogs published a exciting new, It was an invitation to discover Seville IPv6 Smartcity Pilot, also pointing at the benefits and challenges of this IPv6 end-to-end solution, its technical details around Cellular Connectivity and summarizing other references linked to this proyect in today's global Smart City market. The present post extends the information published last week. Perhaps you’ve heard how well-known digital products such as Google search, Facebook or LinkedIN are offering their services natively over the IPv6 Internet. Moreover, both LinkedIN and Facebook are deploying IPv6-only datacenters where and they have reported up to 40% increase on users Access to their services, a key parameter for any digital product User Experience. 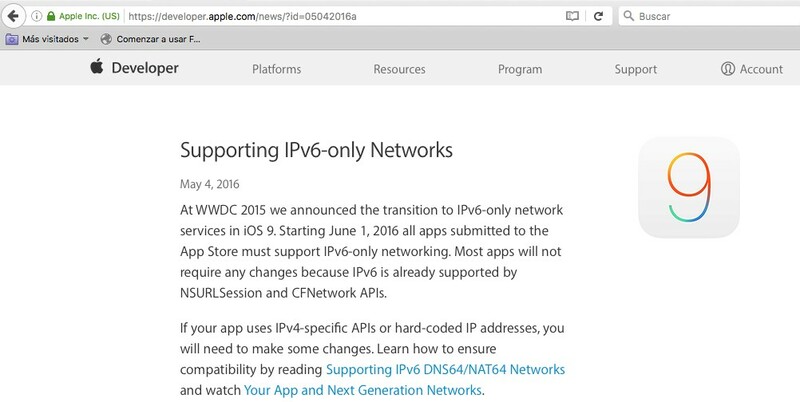 Additionally, from June 1st 2016 onwards, Apple is asking all App developers IPv6-only scenarios compliance as a mandatory requirement for IOS9.2 in the Applestore. In this post we describe how FIWARE has enabled an IPv6 end-to-end solution in the whole value chain of a given Smartcity Pilot. Seville City Hall: Providing Access to the physical infrastructures to carry out this innovation action. Adevice: a spanish vendor providing IPv6 compliant IoT devices, local network and gateways. 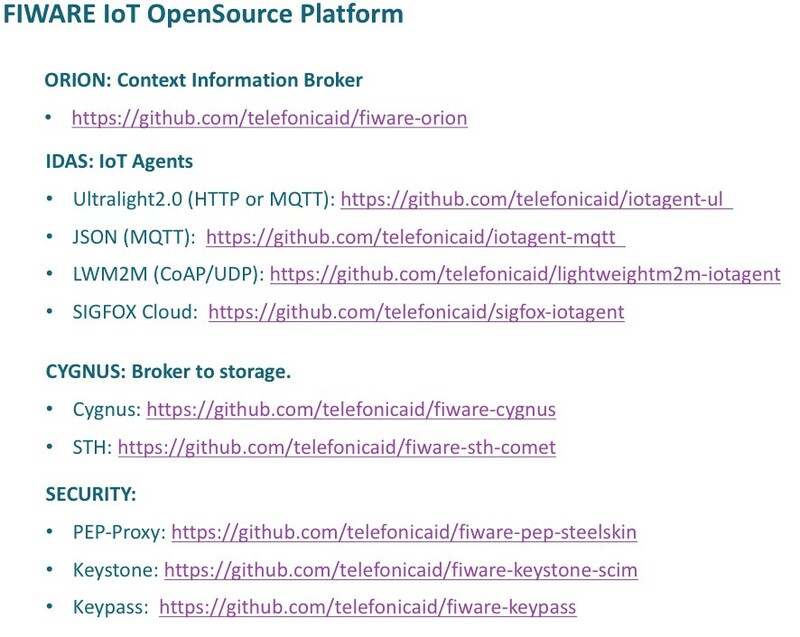 FIWARE: providing the opensource IoT Agent and NGSI Context Information bróker components. 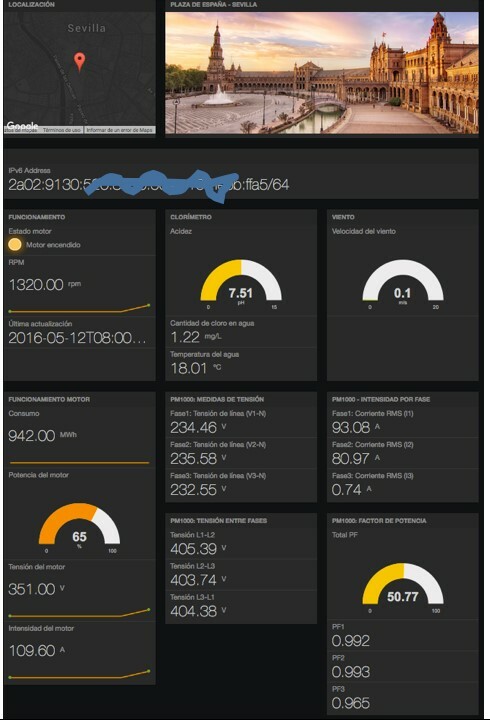 Telefónica: providing IPv6-enabled 3G/4G SIMs and deploying and operating a FIWARE -based IPv6 Smartcity platform instance at FIWARE Lab datacenter at Rediris (Spanish NREN) IPv6-enabled facilities. As an outcome of this pilot first phase, the city hall is now able to monitor the water quality and leaks, the engine status and environmental parameters of public fountain at the Plaza de España, one of the most well-known touristic spots in Seville. ¿Which are the benefits and challenges of this IPv6 end-to-end solution? 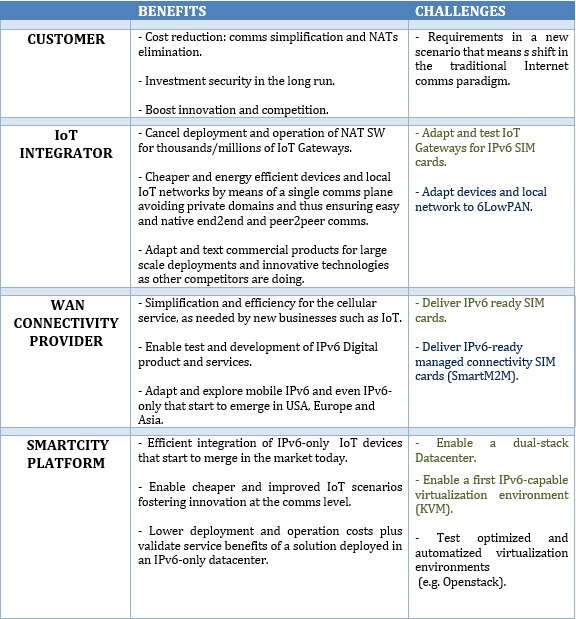 The following table describes the advantages and tasks as obtained during the first phase of Seville IPv6 Smartcity pilot. Note: in the previous table, challenges in green color have been already address while others will be fulfilled shortly. Following activities include: delivering IPv6 usage to the local IoT network by means of IETF 6LOWPAN standard. This will extend the simple and peer-to-peer communication model met today for gateways down to the IoT end devices as well. Additionally, an IPv6-enabled dashboard is being worked out in order to meet as soon as possible the benefits and challenges of an IPv6-only solution/datacenter. Following 3GPP standards, in the IPv6 cellular network a terminal is provided not with a single IP address but a total of 264 public IPv6 addresses (an IPv6 /64 prefix). The following diagram shows the IPv6 prefix assignment process configured in the network elements (GGSN/PGW) by the Technology and engineering teams of Telefónica in Spain. The mechanism includes two phases where initially a random Interface ID is provided to the terminal. Later on the terminal executes the SLAAC (IPv6 stateless autoconfiguration) process to get the same /64 prefix from the network element but being able to select a given Interface ID. 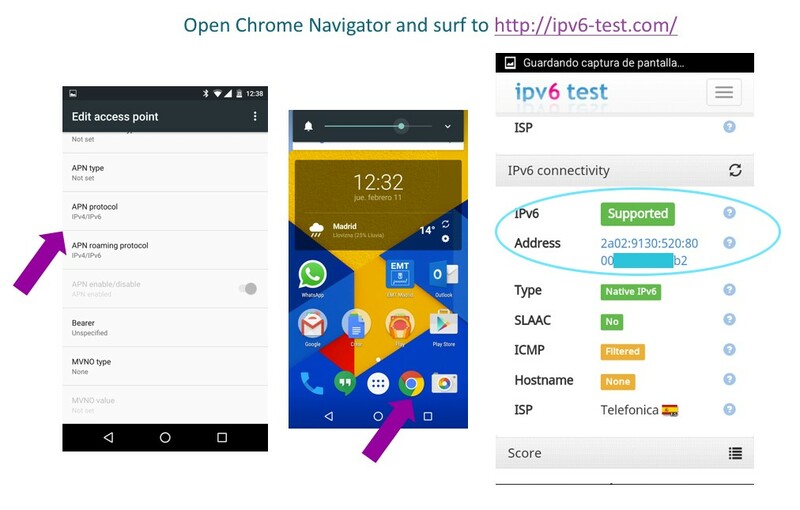 In order to test a working IPv6 SIM card, prior to the IoT gateway tests, we have used a Nexus5 terminal configuring an IPv6 capable APN and surfing to the “ipv6-test.com” webpage. FIWARE LAB is deployed as a datacenter with more than 3,000 cores at Rediris. Rediris is the Spanish NREN (National Research and Education Network) connected to GEANT and other providers both with IPv4 and IPv6. Normally, FIWARE is deployed over an OpenStack virtualization infrastructure which is IPv6 fully capable since “KILO” version onwards. However, for this pilot first phase, a standalone KVM environment has been used. 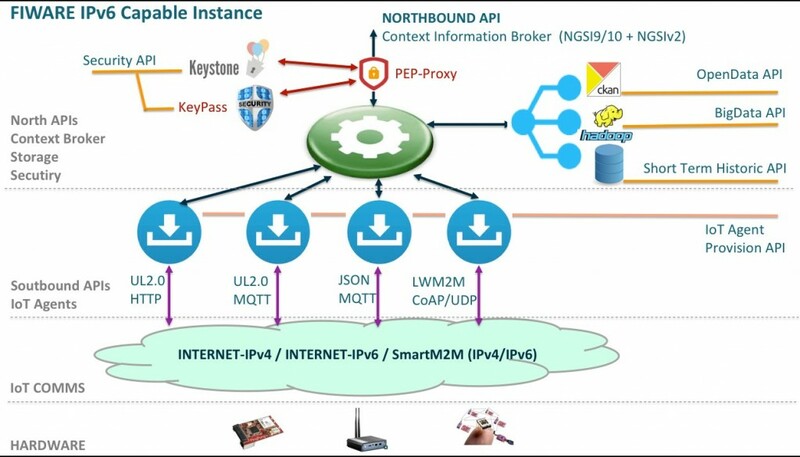 In the first phase the UL2.0 IoT Agent, the ContextBroker, security and Cygnus+Short Term Historics components have been deployed exposing IPv6 APIs. IoT business, and more concretely the Smartcity vertical, counts right today with the availability of commercial IPv6 products. 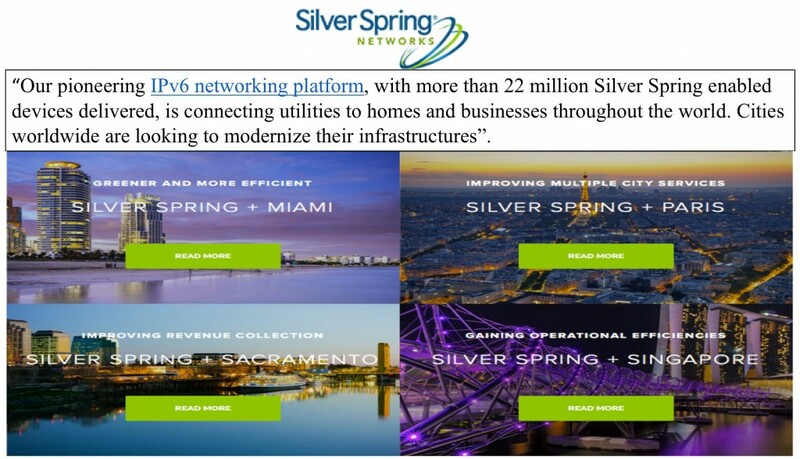 For instance, Silver Spring Networks (NYSE: SSNI) is enabling both IPv6 connectivity and platform solutions in the USA and other regions. Regarding IoT physical devices, there exist multiple providers commercializing IPv6/6LOWPAN compliant products. 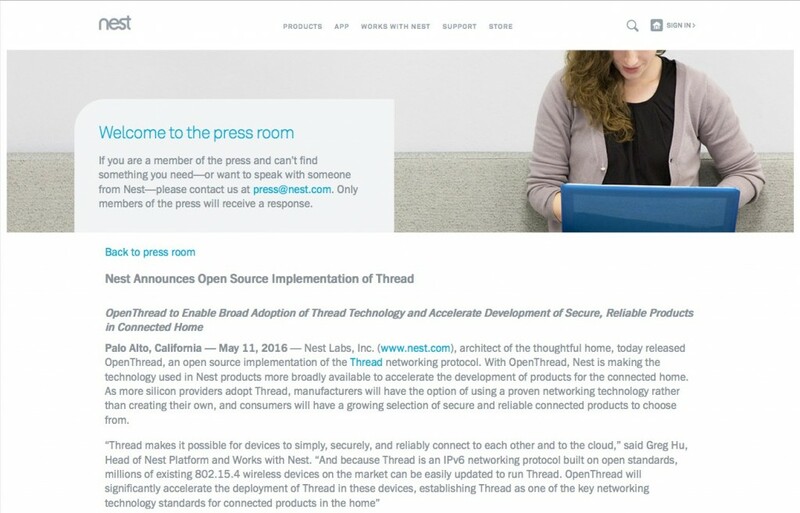 For instance, Thingsquare –known because their active role in the IoT OS ContikiOS- prvides IPv6-only hardware that connect natively to IPv6 platforms, while a protocol translation is needed for IPv4-only platforms. Actually, there are more key IoT Products that are migrating to IPv6 based communications. For instance, Nest, the IoT provider acquired in Jan 2014 by Google for $3,200,000, has just announced in May 2016 the adoption of the Open-Thread stack which is based on IPv6 and/or 6LowPAN comms.